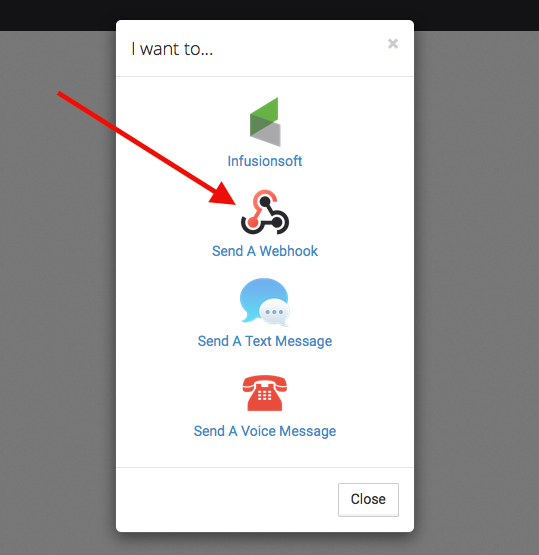 To send a Webhook containing fields extracted from an email or a webhook, select "Send A Webhook" on the Actions Page. 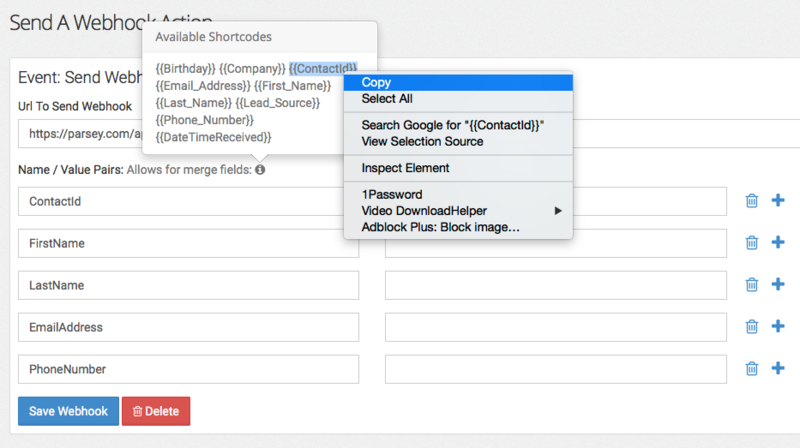 Then you'll want to enter the URL to send your Webhook to. Click on the "i" icon to bring up the Merge Fields pop-up. These are the fields from your email or Webhook. 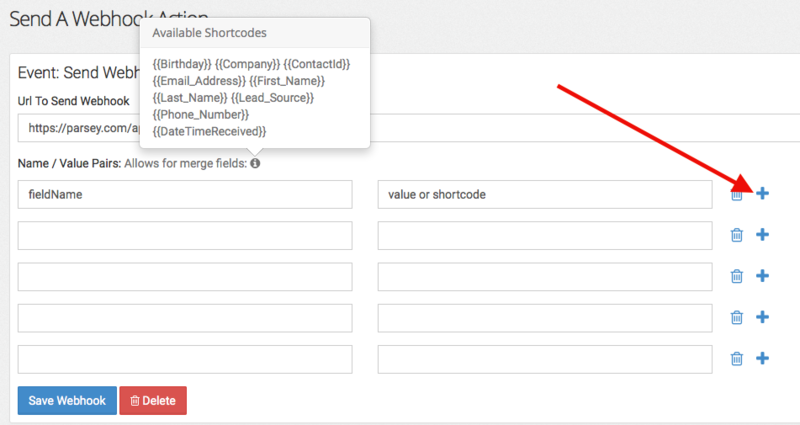 Select the "+" icon to add fields to the Webhook. 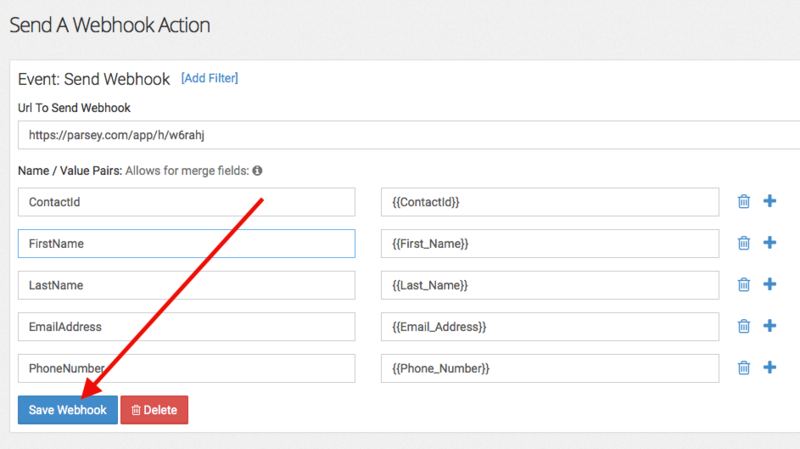 Add the labels for each field you want to add to your Webhook. 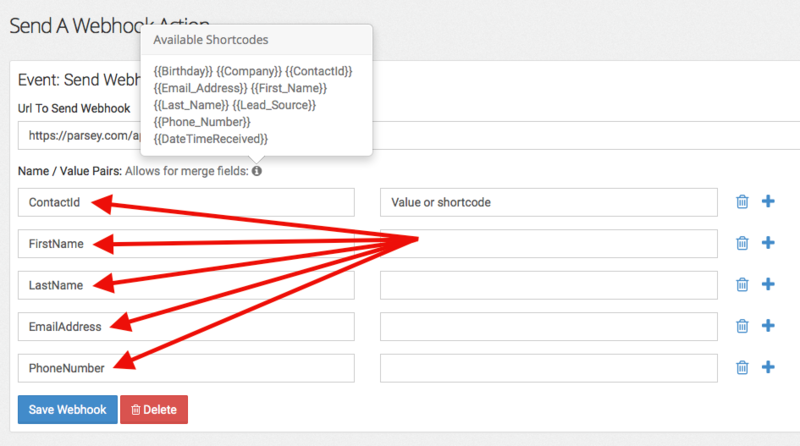 Now copy and paste each Merge Field to its corresponding label. 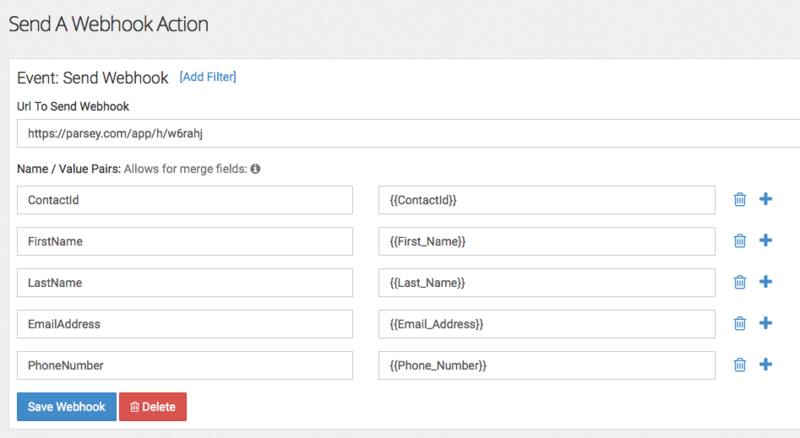 Your Webhook should look Similar to this when completed. 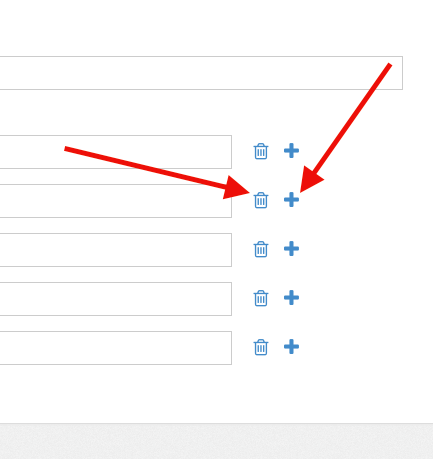 To delete fields, or to add more fields, use the Trash and Plus buttons on the right. 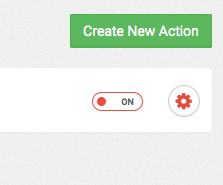 Once you finished creating your Webhook, click Save Webhook. 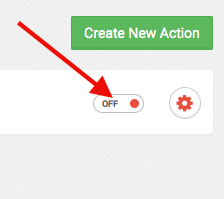 Now, on the top of the page, click Actions. Then turn your Action from OFF to ON. Congratulations, you are now ready to start sending Webhooks outside of Parsey!